This new edition of a best-selling text in food product development provides a comprehensive overview of the new food product development process. Stages of development are described in detail, beginning with sources of ideas, then moving through development, final screening, and introduction into the marketplace. 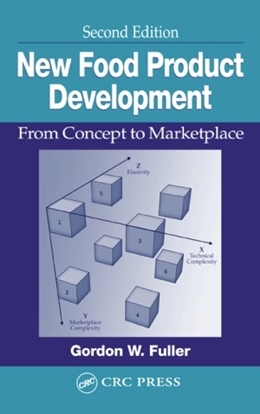 With extensive experience in new food product development, the author outlines ways a company can organize for new product development and utilize available resources. He focuses on the roles, functions, and interactions of the members of the food product development team as well as other company departments and outside resources in the food product development process.